A quick-strike mission to examine Bryant Cemetery and test for EVP activity at the site. This was a fast-strike mission to investigate the Sacramento Old-City Cemetery and we used simple tools on this one - one EVP recorder and a Nikon camera to test the waters. We also did a fast-strike on the Old White Rock Ruins to test for EVPs and did get some! A nighttime strike mission to scan for EVPs on a fairly quiet evening in Placerville, California. A pre-investigation of The Bookery bookstore in Placerville, California. A private residence in Pilot Hill, California. Cold spots, other apparitions scene and a generally odd feeling on one side of the home. 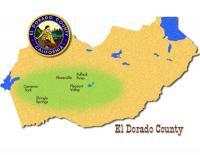 A multi-site investigation in and around Volcano, California. The Indian Grinding Rock state park, caves and Volcano cemetery were investigated. 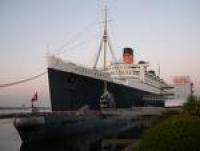 A 2-day investigation of the Queen Mary in Long Beach California by Jon. A tour of the Bailey House by John, one of the members of the Bayley House crew who are restoring the site and home.